in 2018, i didn’t take any huge trips like I did in the previous 2 years. work was a bit busier and i had things happening in my personal life. but that doesn’t mean i wasn’t thinking about where I wanted to head next. 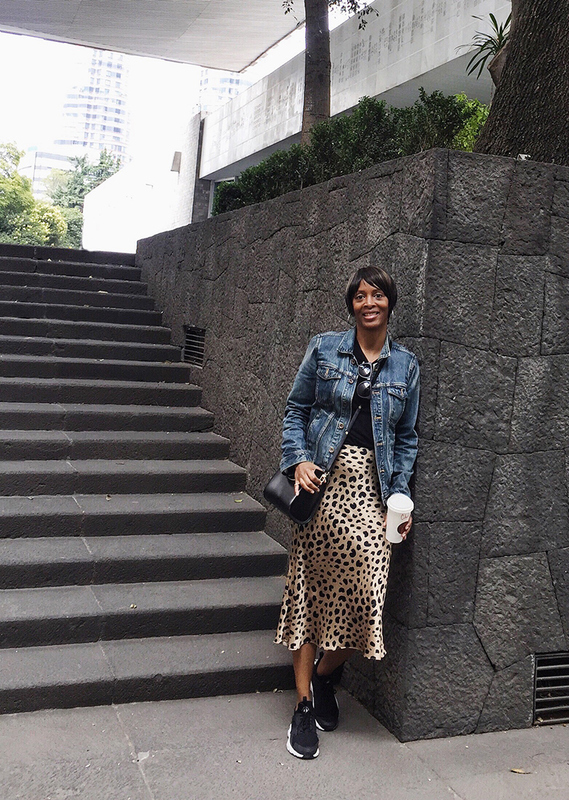 one of my favorite bloggers sarah took a trip to mexico city, and i was immediately drawn in by her pictures: it seemed lush but also an artistic and architectural dream. at first i was thinking i could take a short trip there over the holiday, like 5-6 days. 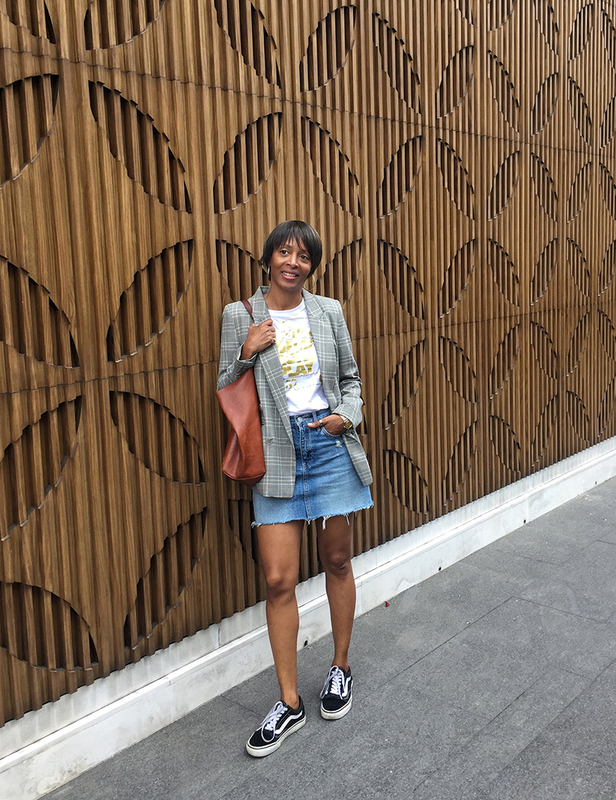 but then after talking to my friend lauren (who usually takes a solo trip over the holiday and also had mexico city on her destination list), we decided to go together and extend it to 10 days. read sarah’s guide first. it’s where i started in planning my trip and it’s got a wealth of amazing information. i found the city to be relatively safe, but as sarah says, i didn’t do anything I wouldn’t do in san francisco, philly, or nyc. the only thing i did differently was take uber everywhere, mainly because of how inexpensive it was (i do not recommend taking taxis). she took public transportation, which i normally do when i travel, but just didn’t this time around. it’s not like going to europe where signs at museums and menus come in a native language and english. pretty much everything is in spanish. google translate is your friend or at least learn a few phrases using babble. (this coming from someone who took 5 years of spanish). let me know if you have any other questions if you’re planning a trip. i also saved all my instagram stories to a highlight, so you can see everything in the moment. lauren found our airbnb in the roma norte neighborhood, which was a cross between williamsburg and hayes valley. It’s pretty residential with lots of great restaurants, cafes, and parks. if you want something a bit on the quieter side, this hood is for you. there are some hotels here, including nima local house hotel and casa goliana). 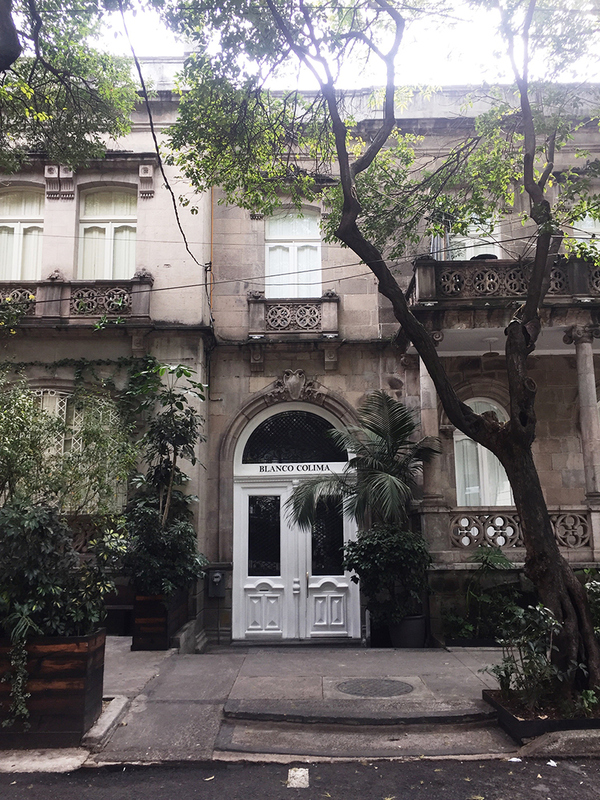 other places I’d consider staying is in la condesa (which has the st. regis, four seasons, condesa df, and hippodrome) and polanco (love the las alcobas—there’s one in napa; there’s also a w and camino real polanco mexico designed by architect riccardo legorreta in the style of luis barrágan for the 1968 olympics). bosque de chapultepec: this huge park in the la condesa neighborhood is almost 1700 acres (almost twice the size of central park). 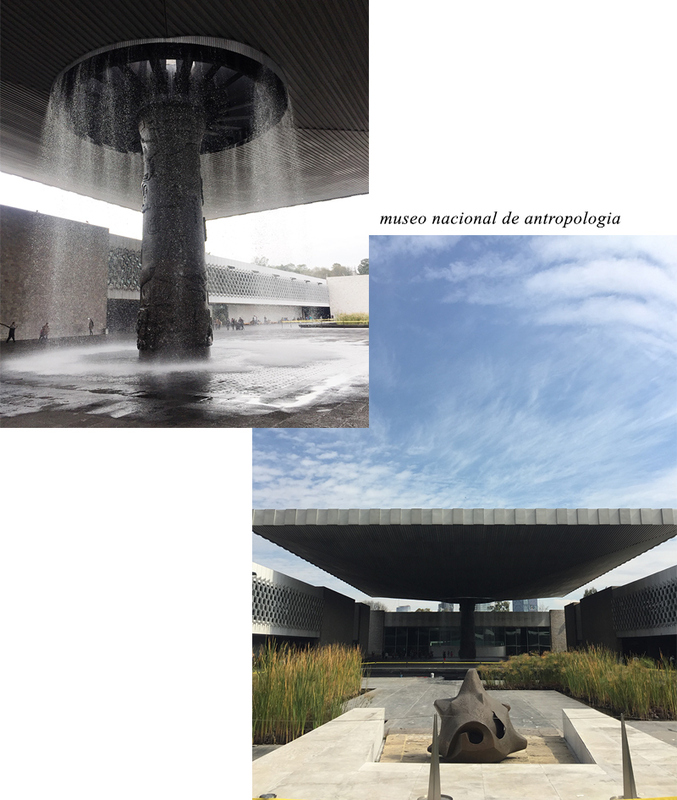 inside the park is museo nacional de antropologia, museo tamayo (modern and contemporary art and art from its founder, rufino tamayo), chapultepec castle (the official residence of emperor maximillian I and then the official residence of the mexican president until 1939), plus a botanical garden and zoo. i would recommend breaking up the park activities across a couple of days since it’s very large and lots to do. temple mayor (centro histórico): the main temple in the city of tenochtitlan. the city was destroyed and covered until the early 1930’s when scholars found part of the temple but it wasn’t fully excavated until the late 70’s. you can walk through the site, then check out the museum at the end with more information and artifacts. 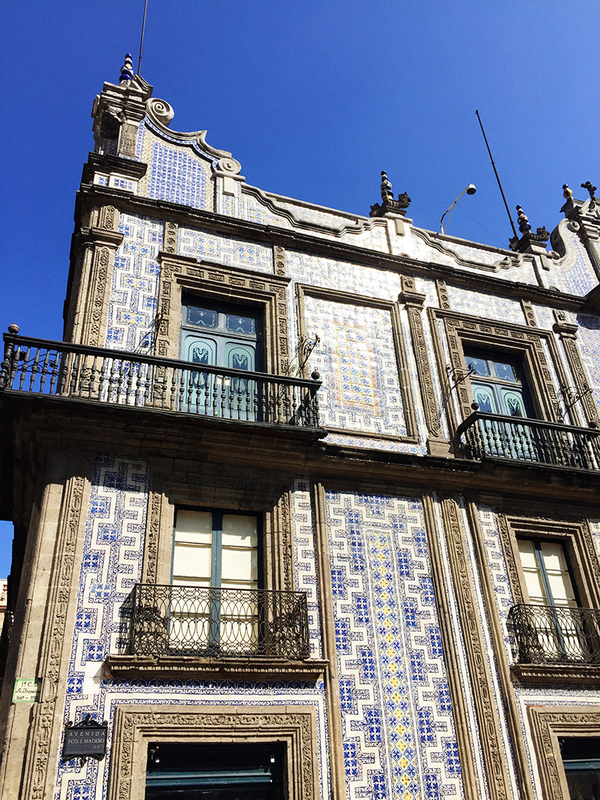 casa de los azulejos (centro histórico): the house of blue tiles is, like sarah said, on a pretty unremarkable street, but with the crowds around it, you can’t miss it. the inside is as stunning as the outside. 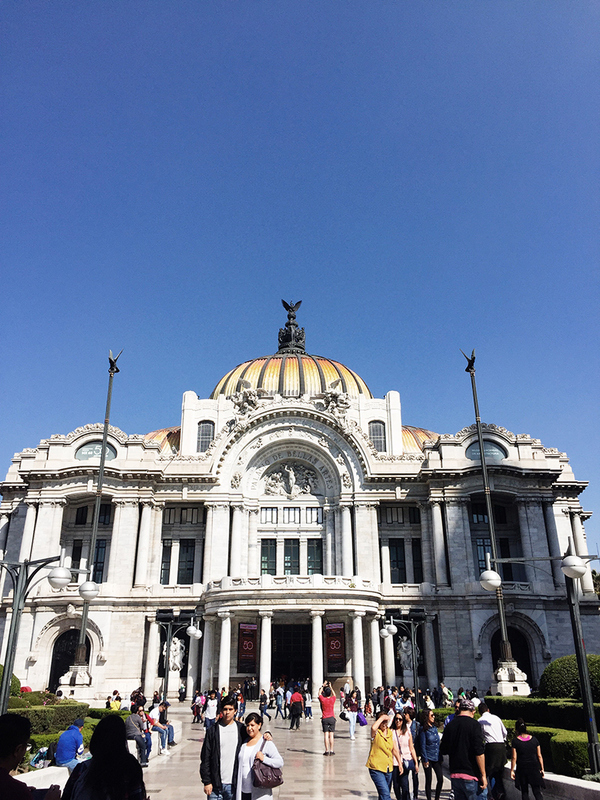 palacio de bellas artes (centro histórico): this neoclassic meets art deco building holds events in photography, dance, sculpture, music, and opera. Also inside are murals by rufino tamayo, diego rivera and david alfaro siqueiros. check the website for current exhibits (we saw one on the 1968 olympics when we were there). 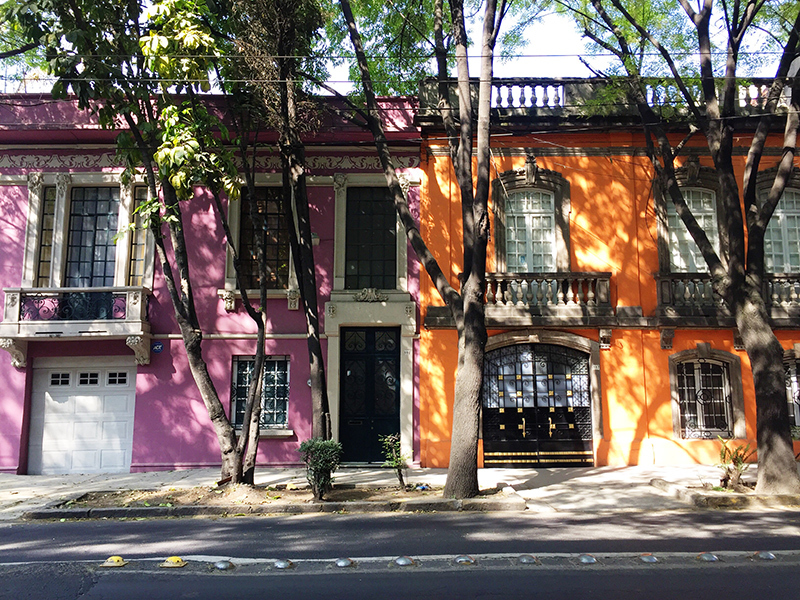 luis barrágan architecture tour: one of the main things i wanted to do while in mexico city was take a barrágan architecture tour to see his houses, specifically cuadra san cristóbal and casa gilardi. i booked a tour through the traveling beetle (to see these houses, book the northern version, $205 usd/pp including lunch). 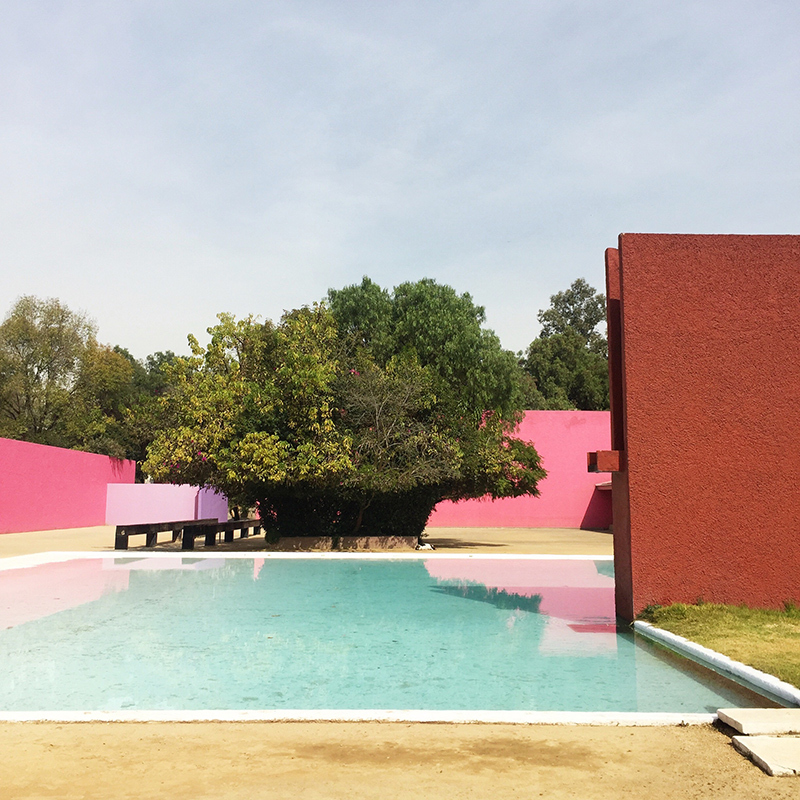 our tour guide was super knowledgeable about all of barragan’s works and has relationships with the home owners, so we got to see some places that usually aren’t on the tours, like the private pool at the cuadra. you can also tour his home and studio (separately). 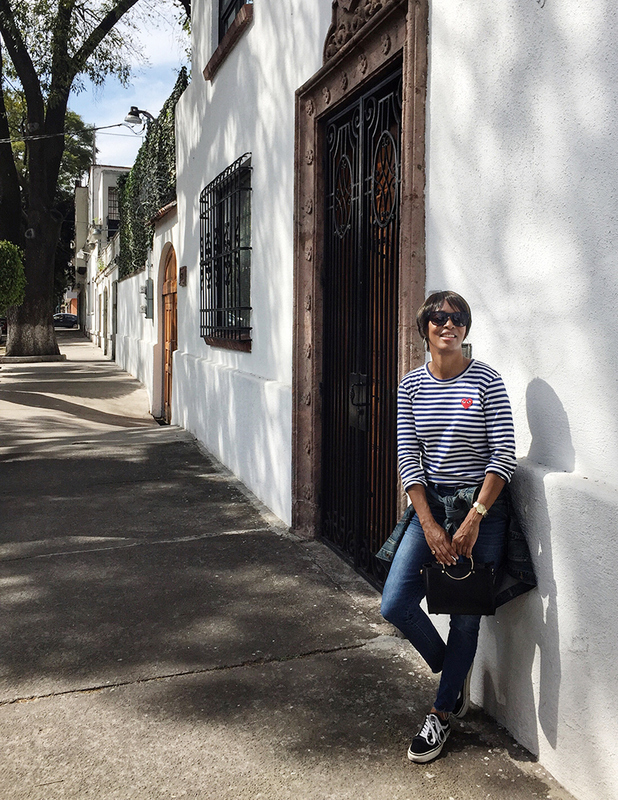 traveling beetle also does tours of mexico city neighborhoods, art and gallery, frida kahlo/diego rivera, museums, and murals. 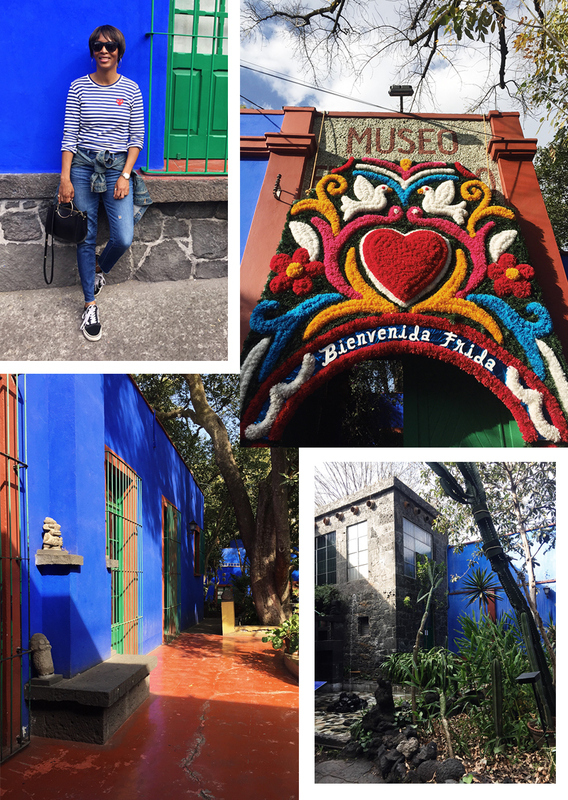 museo frida kahlo (aka casa azul): this is the shared home of frida kahlo and diego rivera. definitely buy tickets for this ahead of time as tickets go really fast (the day we were there, tickets were sold out for the week). You need to pay an additional fee to take photos inside. so cool to see their workspace, in addition to their separate bedrooms (one of the beds was set up for kahlo to paint at when she became too ill to do it standing), and gardens. make sure to watch the film being shown after the tour. 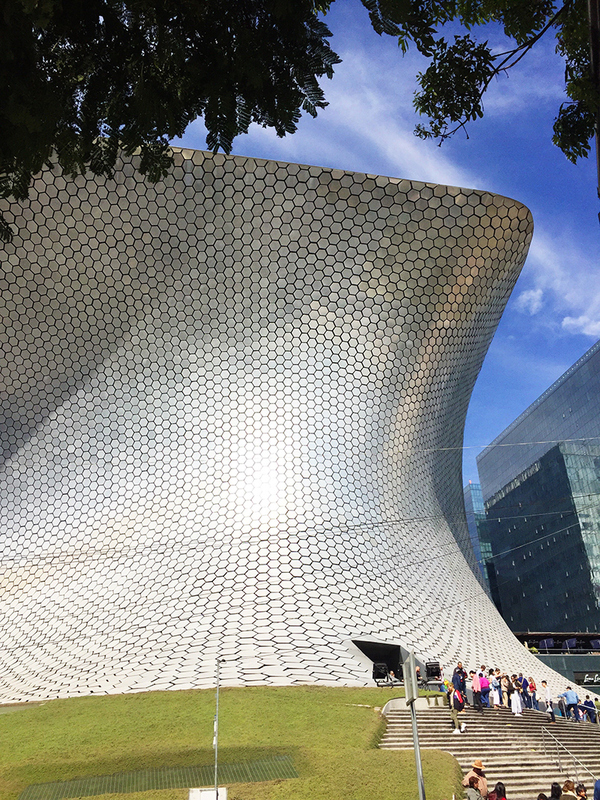 soumaya museum & museo jumex (polanco): you’ve probably seen the soumaya museum in your instagram feed because of its unique curved metal exterior. well it is totally jaw dropping to see it in person. soumaya is mainly european art (think rodin, matisse, renoir) while jumex (right next door) is modern art. admission is free for both. 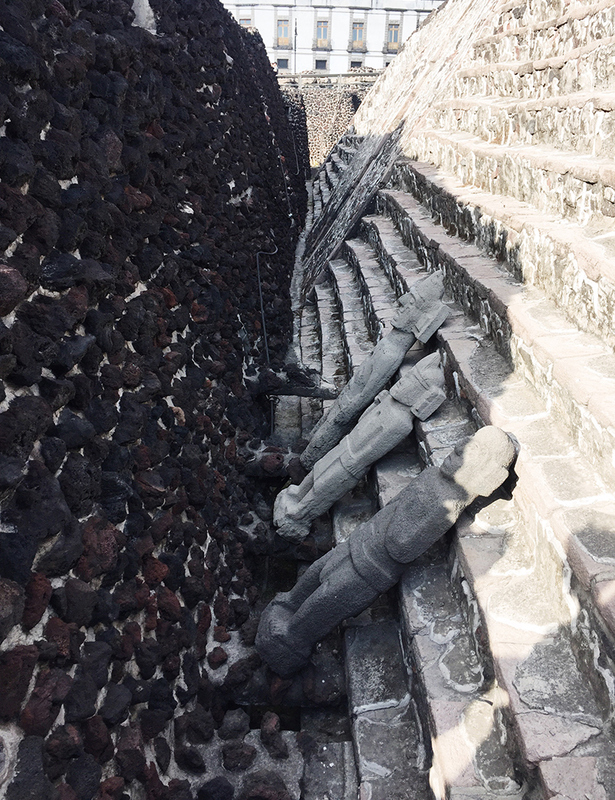 teotihuacán: we booked a sunrise tour via amigo tours and i’m so glad we did. it gets very crowded by mid-day and we had already gone up the larger pyramid (pic below) by the time the masses arrived. it really is awe-inspiring to think what people could build without any real technology other than their hands and calculations. two of the top spots on sarah’s list, pujol (featured on chef’s table) and contramar we didn’t get to because we didn’t make reservations ahead of time. if those are on your shortlist, i recommend doing that as soon as you know your dates. note: many places are closed on sundays. máximo bistrot (roma norte): all local food that changes daily from a chef who worked with eric ripert at le bernadin. blanco colima (roma norte): a mansion disguised as a food hall with three unique spaces, blanco colima, a co-working space which offers breakfast, lunch and drinks, belafonte, a seafood & oyster bar, (both have live music at night) and lázaro, a fine dining restaurant showcasing local ingredients. 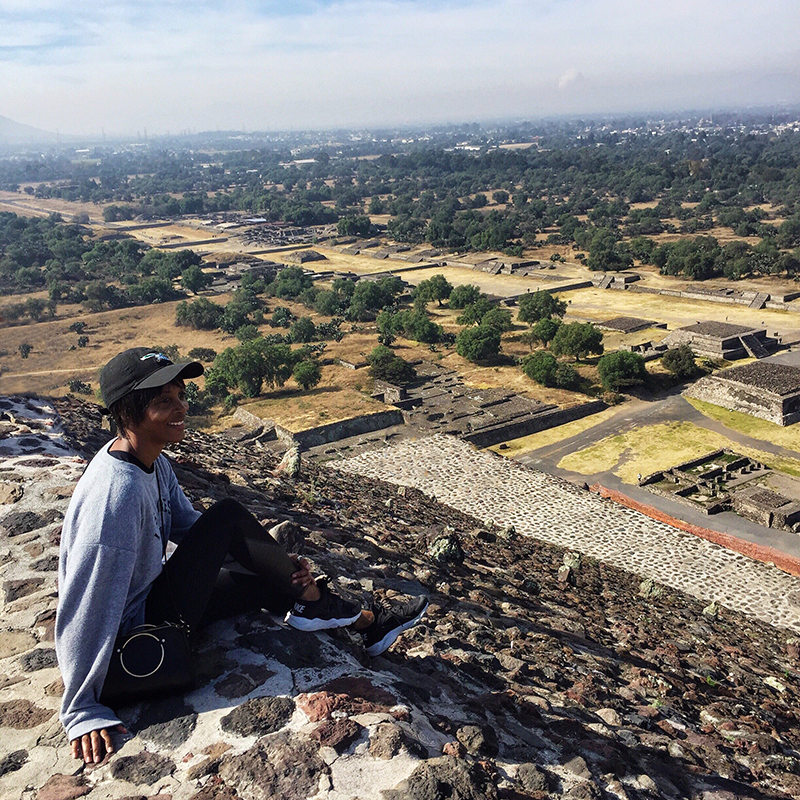 el mayor (centro histórico): sarah nailed it; it’s definitely touristy. But you can a birds eye view of temple mayor. If it’s a nice day, sit outside and take in the view. 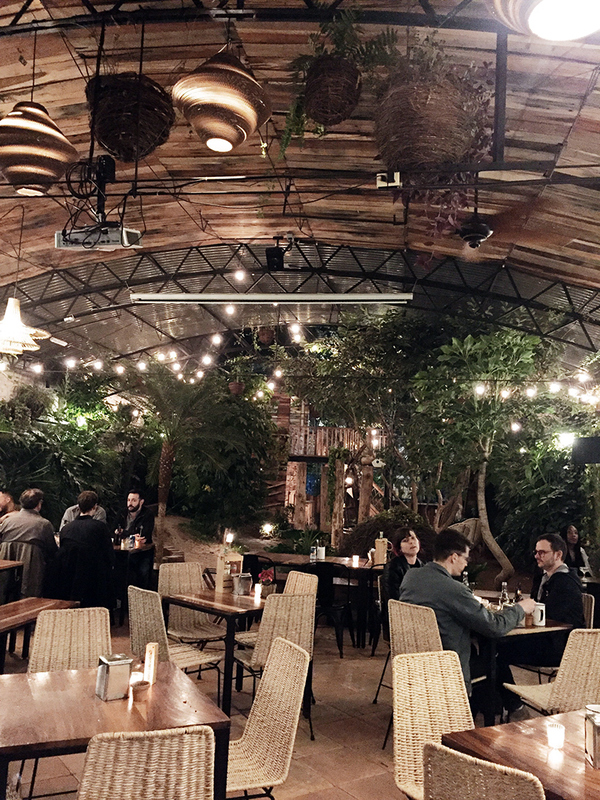 cabrera 7 (roma norte): contemporary mexican food in a lively space that overlooks luis Cabrera park. balmori roofbar (roma norte): a second level restaurant with a DJ. outstanding cocktails. eno (roma norte): great breakfast and lunch spot where everything is made with organic and/or local ingredients. parcela (roma norte): another stunning space (second pic above) with some of the best steak tacos i’ve ever had. ivoire (polanco): directly across from parquet del reloj, this charming french restaurant is open all day, but has a stellar lunch/post lunch offerings like cheese, spanish prosciutto and large salads. el califa: when you’ve been out drinking, this is where you hit for late night eats. I recommend the pastor tacos. locations across the city. si mon bar a granel (roma norte): a quaint wine bar with charcuterie & cheeses. la lavanderia (hipódromo): i’m not a mezcal drinker, but this place had an extensive selection and even some that aren’t super smoky. bonus points for delicious chips, salsa, and guacamole to go with it. el moro churrería (multiple locations): love churros? this is the place to go (they’ve been in business since 1935). even though we were there in december, the weather was very mild during the day (think low to mid 70s) and then chilly at night (high 40s to low 50s). overall the city is pretty casual although since i was there over christmas and new years eve, i brought a few dressier pieces (we had christmas dinner at j&g grill in the st. regis). i’d recommend comfortable shoes (i brought 3 pairs of sneakers and my acne jensen booties) and things you can layer. Previous Post black and navy. Next Post tartan tuxedo blazer.